There are many wondrous statements of the companions. The statements that the companions made when it could not logically be considered that they can make it, is considered to be a hadith. It was from the blessed Prophet (may Allah bestow peace and blessings upon him) but the companion reported it without mentioning it. Or the companion was giving a blessing of understanding the times that they were in. Then because of their knowledge they figured that things would eventually change. عن ابن مسعود قال: " إِنَّكُمْ فِي زَمَانٍ: كَثِيرٌ فُقَهَاؤُهُ، قَلِيلٌ خُطَبَاؤُهُ، قَلِيلٌ سُؤَّالُهُ، كَثِيرٌ مُعْطُوهُ، الْعَمَلُ فِيهِ قَائِدٌ لِلْهَوَى. 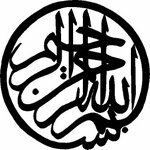 وَسَيَأْتِي مِنْ بَعْدِكُمْ زَمَانٌ: قَلِيلٌ فُقَهَاؤُهُ، كَثِيرٌ خُطَبَاؤُهُ، كَثِيرٌ سُؤَّالُهُ، قَلِيلٌ مُعْطُوهُ، الْهَوَى فِيهِ قَائِدٌ لِلْعَمَلِ، اعْلَمُوا أَنَّ حُسْنَ الْهَدْيِ - فِي آخِرِ الزَّمَانِ- خيرٌ مِنْ بعض العمل"
Ibn Masud (may Allah be pleased with him) said, "You are in a time in which there are many jurists and few speakers, few questions [in need of answering], many who give and action has tethered passion. A time will come after you [where there will be] few jurists, many speakers, many questions, few who give, and passion will lead action. Learning is the best guidance, in the last time, better than some action." Reported by Al-Bukhari in Adab Al-Mufrad in the chapter of Al-Ghuna wa Al-Lahu with an authentic chain. We have many issues that cannot be answered because the questions are not asked to the right people. There are many people who cannot speak urdu so they have no access to teaching. Sometimes this is a good thing, especially when it is wrong. There are many people who do not give their zakah. They are often wealthy business owners who do not even care. Peoples whims lead them to actions that are often invalid because they have not learnt the knowledge that validates it. Many people do not know their basics, so they might be making invalid wudu and praying all night. Yet, it is not valid! In this time learning is better than some action; maybe because we are unable to do some actions. I have often seen speakers distract people when they are asked a question. Opinion and knowledge are two different things. Opinion is like a light bulb and knowledge is like the sun. Both are light but one is real and one is fake. Because of this report do I call these people speakers. Many cannot recite the Quran properly and have little knowledge of the prayer. Are we in any doubt that we are in this time? It is with great sadness that I often hear 'speakers' taken for scholars. They make mistakes in their works and in their lectures. Not minor ones but major ones. They are more likely to turn someone against Sunni Islam than to turn them for it. They do this by making stuff up like opposing the Asharis and Maturdis. I feel sorry for students who adhere to speakers because of their fame. Often, fame and scholarship do not mix. There are rare examples but there should be people who hate the teacher. Rather, than disagree with proofs and evidence; speakers disagree with each other based on egos and zeal. I would recommend that people check carefully before studying with anyone and look at the clarity of the teachers biography. Or else you might be studying with a speaker not a teacher. Because as the report states the speakers are many and the jurists are few. So its highly likely that the jurist does not give khutba/public sermon or public speeches. And yes, I have met many muft (free) muftis and many Sheikhs who are just old!